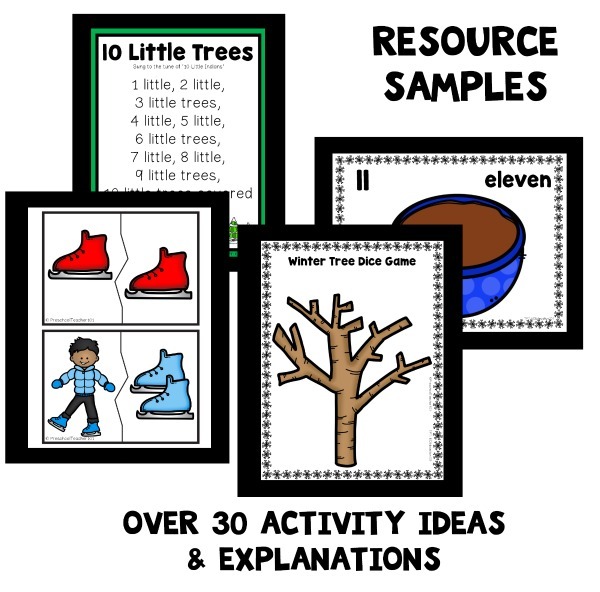 We had so much fun trying some of the Hot Chocolate Math and Science Activities that I wanted to build on the enthusiasm and continue with this fun theme. 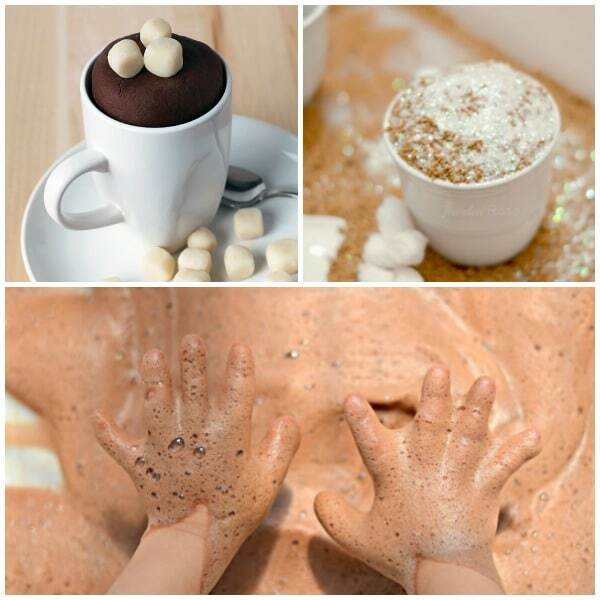 As delicious as hot chocolate and marshmallows smell, I thought- why not involve the senses with some hot chocolate sensory activities? 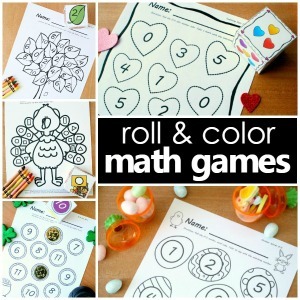 Whenever we are stuck inside on a cold or rainy day or just looking for a boredom buster, I love to grab a sensory bin and just let my girls engage in exploratory play. Sensory play is perfect to help spark imagination, improve dexterity and fine motor skills, and to occupy those little hands for a little while in a positive way! 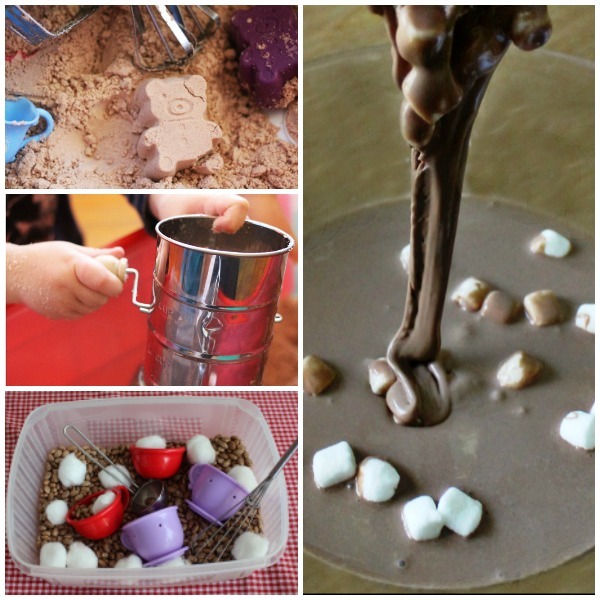 Here are some fun ways to incorporate a hot chocolate theme into your sensory bins. This cloud dough by Sugar Spice and Glitter smells delicious and can be easily molded for endless pretend hot chocolate sensory play. Adding a sifter and other kitchen tools to the play really promotes strengthening those fine motor skills. This simple hot cocoa sensory bin by Play Learn Everyday can be quickly put together with some beans, cotton balls, and some pretend utensils from around the house. Explore liquid turning into solid playing with some chocolaty goop from Raising Little Superheroes. Fireflies and Mudpies has some hot cocoa play dough to spark some pretend play that smells just like a delicious cup of hot chocolate! Try this hot chocolate sensory rice from Growing a Jeweled Rose to engage your little ones in some imaginative sensory play as they serve up some pretend cups of cocoa. Grab some soap and cocoa powder to create some chocolate foam from And Next Comes L that is sure to smell yummy. And the best part is, it’s easy to clean because it’s mostly soap! 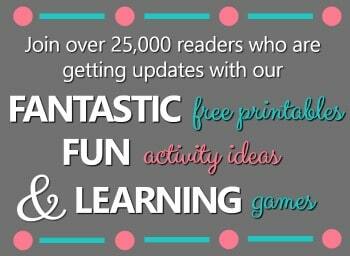 Totally the Bomb has a hot chocolate slime that is fun to stretch and play with, yet safe if put in little mouths. 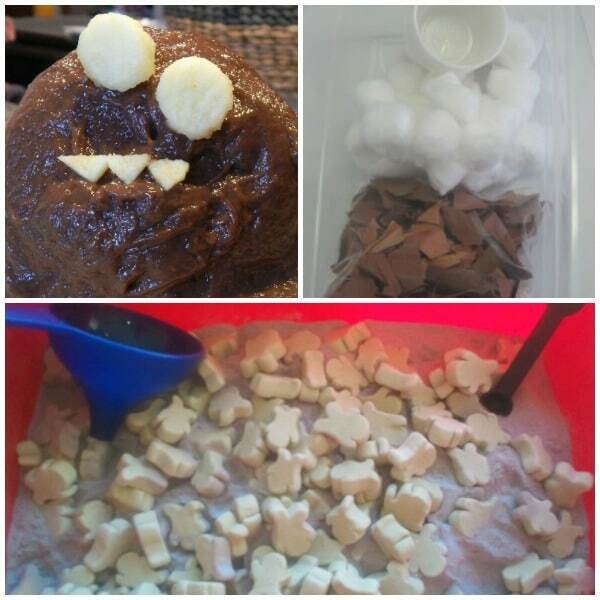 Teach Preschool has a fun hot chocolate sensory bin that is easily made with some scraps of paper and cotton balls. 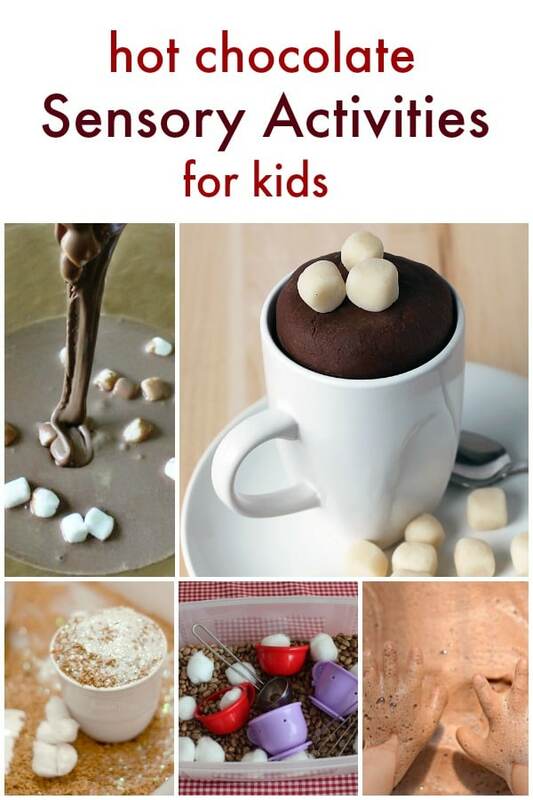 This edible hot chocolate sensory bin from Making Time for Mommy is completely safe for your littlest sensory explorers. 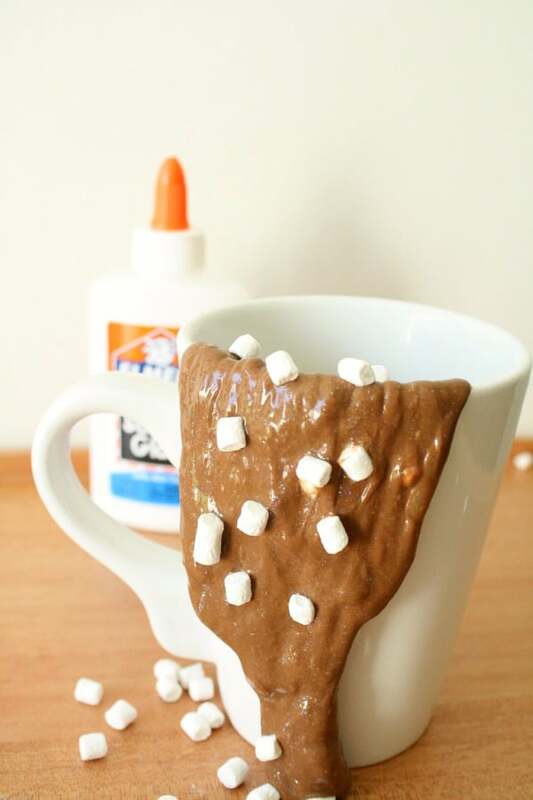 Mix up your own batch of hot chocolate slime with this easy slime recipe.